In order to provide our customers with quick and efficient delivery service we ask that you read and understand our simple delivery policy. We have to insist that the customer provides us with the correct address. The customer has to assume liability if we are not provided correct details. Delivery will be dropped off at a door without a signature if the recipient is not at home. When possible the package will be left with your building security office if you are not home. Postal nationwide delivery will be received on Tuesday or Wednesday on the delivery week. Cancellation requests should be made as soon as possible after an order is placed. The cancellation deadline is Saturday at 7pm (19:00) KST each week. Cancellations after the deadline are not possible as we have to prepare and pack your food order for delivery. Delivery is once per week on Mondays. Express Bike delivery is available in Seoul and is delivered either Monday afternoon or Monday Evening. Postal Nationwide delivery delivered on Tuesday in most areas. Pick up is available on Sunday and Monday from 3pm-8pm. Pick up in store on Sunday or Monday each week between 3pm – 8pm. Monday Afternoon Bike delivery. Delivery between 2pm-6pm. 4,000Krw in Yongsan-Gu. Other areas in Seoul 10,000 – 20,000krw. Monday Evening Bike delivery. Delivery between 6pm-10pm. 4,000Krw in Yongsan-Gu. Other areas in Seoul 10,000 – 20,000krw. Group Delivery. In Seoul area only. Not available for Postal Delivery. Great for offices and schools a group of orders to one address. Delivery fee is based on number of orders. Orders for Pick up can be collected between 3pm-8pm every Sunday and Monday at our pick up location. Walk up the street past Pizza School toward the police station, stay left and it’s just past the police station! Cancellation requests should be made as soon as possible after an order is placed. The cancellation deadline is Saturday at 7pm (19:00) KST each week. Cancellations after the deadline are not possible. If you are unable to pick up your order during the pick up hours please notify us as soon as possible so other arrangements can be made. Please submit your orders by Friday at 9pm. We will release our new menu on Tuesdays each week. If you have previously ordered we will email you the updated menu and order link. 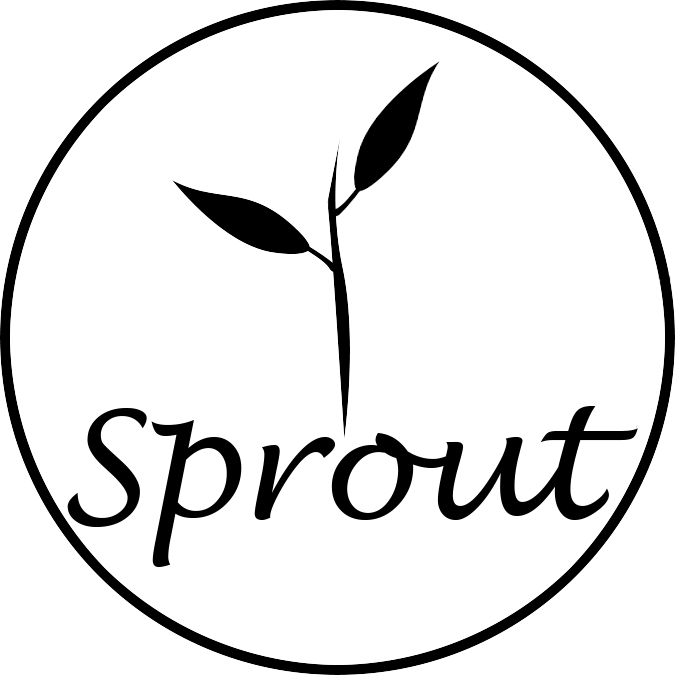 If you want to be added to the Sprout Menu mailing list Click Here to Sign Up. *Frozen meals: Some meals like the Mexican Burrito and Pizzadilla are shipped frozen in the same manner as the frozen desserts. When you receive them you can either put them back in the freezer or fridge. Cook in an oven or skillet/pan on low heat to ensure it is warm all the way through. Thank you to all of our awesome Sprout customers. We really appreciate your business!